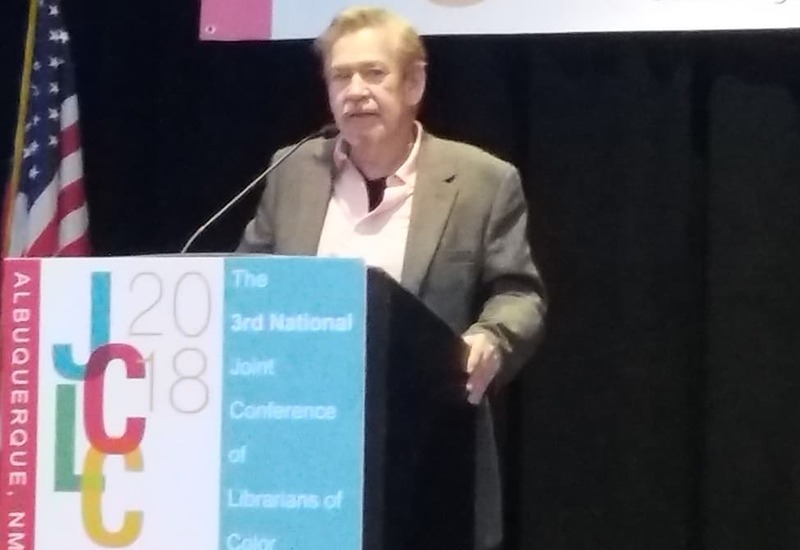 Author, poet, and essayist Benjamin Alire Sáenz speaks to attendees at the Third National Joint Conference of Librarians of Color in Albuquerque on September 27. Award-winning author, poet, and essayist Benjamin Alire Sáenz thinks librarians will save our country. “You are the gatekeepers of American culture. You are what this country needs even though it doesn’t know it needs you. And you do it anonymously,” he said. Sáenz, a New Mexico native, welcomed a standing-room-only crowd to the Third National Joint Conference of Librarians of Color (JCLC) in Albuquerque on September 27. The Opening General Session keynote speaker had effusive praise for the “gatekeepers” in attendance. “You know why I have readers? 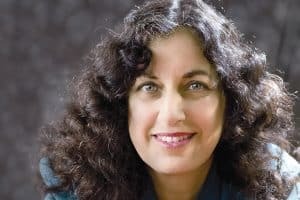 Because you give them my books,” said Sáenz, who has won American Library Association Stonewall, Michael L. Printz, and Pura Belpré awards for his YA novel Aristotle and Dante Discover the Secrets of the Universe. He also recognized the challenges that information professionals and educators are currently facing in schools. Sáenz’s emotional and oscillating talk covered a lot of ground: his career path, his relationship with his mother, politics, his craft, and his optimism for the future. Sáenz has great affinity for his fans (“sweet dorks,” he affectionately called them) but said he is quick to rebuff their claims when they tell him that his books—which have featured Latinx and LGBT characters—have saved their lives. He was also quick to rhapsodize on pain and how it manifests in his work. Sáenz shared that his pain is vast. He has lost many friends and mentors to AIDS. 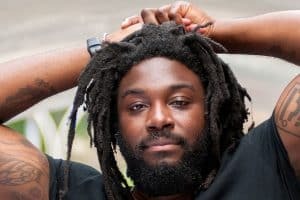 He has struggled with traditional masculinity as a gay man, admits to a tenuous relationship with Catholicism (says the ex-priest: “I can’t bring myself to betray my mother’s God”), and acknowledges an “emotional austerity and loneliness” that comes with being a writer. But he sees himself as fortunate.